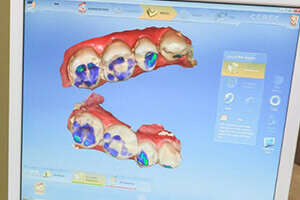 Technology is changing the way we do everything from mapping our road trip to receiving comfortable dentistry services. 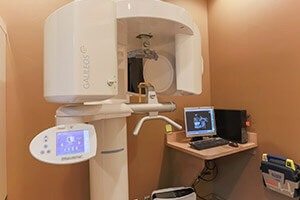 At Vista Dental Care, we use technology to improve every aspect of treatment from diagnostics to precision services. Keep reading to find out more about our dental technologies, or contact our Sparks dentistry team to schedule an appointment today. We welcome patients of all ages from Reno, Spanish Springs, and all surrounding Nevada communities and offer a wide variety of appointment times to fit any schedule. Traditional x-rays offered our team images of the inner structures of patients’ smiles, but in order to capture these images, we needed to expose patients to high levels of radiation and use hazardous chemicals to develop physical images that had to be viewed on a specialized light board. Digital x-rays use as much as 90% less radiation to capture, and they are instantly viewable on our chairside computer monitors. 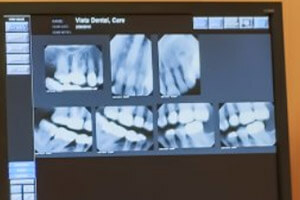 Additionally, these x-rays are higher resolution, and they can be instantly transferred to dental labs, specialists, and insurance providers as necessary, expediting treatment. We can compare areas for concern at each appointment, so we’ll know right away if there are changes. Bite impressions are used as part of many cosmetic and restorative dentistry services we offer including dental crowns, porcelain veneers, and orthodontics. For decades, dentists have relied on physical impressions of teeth captured in a putty-like material to provide the necessary information to create these restorations. However, these impressions had to be shipped to labs where the custom restoration was crafted. This could add as much as a week to treatment time. 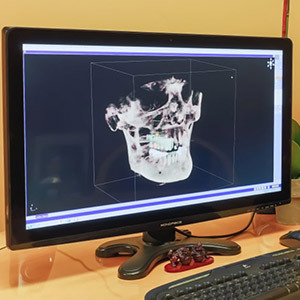 Using our state-of-the-art CEREC in-office milling unit, we’re able to capture digital bite impressions that can be used as part of same day crown restoration with CEREC, and we can decrease treatment time when working with dental labs by immediately sending the digital scans electronically. Digital x-ray images allow us to see the interior portions of the tooth and those parts of the tooth below the gum line, but they can’t always give us a complete picture of the size and shape of these dental structures. That makes advanced treatments like root canal therapy or orthodontic solutions much more difficult. CT/Conebeam scanners gives us the ability to see not just the underlying structures of teeth, but to have a three dimensional image that shows us the size and shape of individual teeth as well as how these structures work together to create a fully functioning smile.